I ran the Oculus software for about a week or so with no issues. Thought it was time to add the 2nd sensor. Long story short I've been plagued with stuttering and overall bad experience with the 2nd sensor running. So thought I'd go back to one. I figured unplugging the USB 2.0 sensor and rerunning the full set up would get me back in the game. It didn't. It's been spinning like that for over 10 minutes. If I click on SKIP SETUP it warns me about it, I agree to skip setup and it takes me back to the Devices screen. Do I not need to run the full set up when running only 1 sensor? I actually don't really even recall running it the first time I set it up but thought I missed it or something. In order to run the single sensor setup again, you'll need to go to the "Devices" section and use the "Forget Device" option by clicking on the devices image. Use the forget device option on all but one sensor and remove the Touch controllers. The devices must be in the off state to forget them. I am having the same issue and forget device for both sensors is grayed out. I made the setup using my 3 sensors, and when I play seated as I just need one I just remove 2 of them before turning ON my computer. When I need them back, I plug them (computer off). In other words : you don't need to rerun setup, just do the setup with all your sensors, and unplug the one(s) you don' need (preferably PC turned off). Work fine for me. 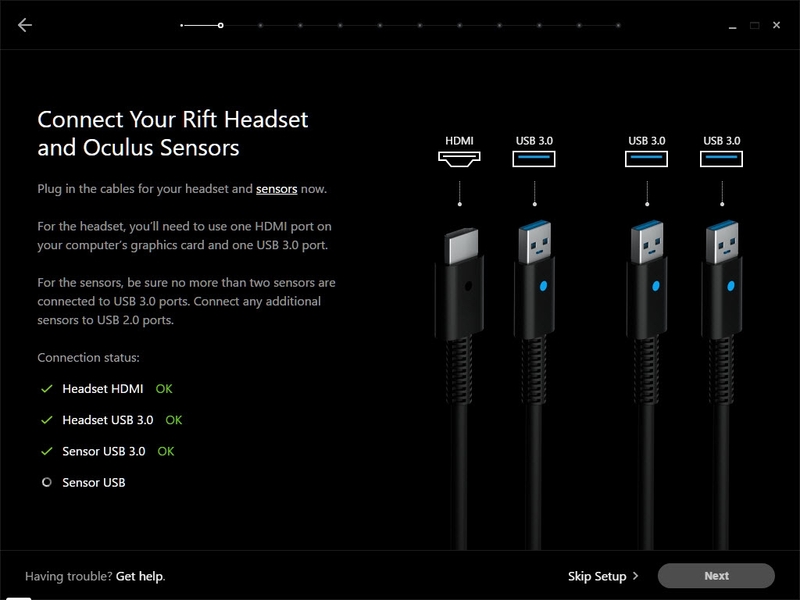 Edit: adding all sensors don't move an inch, just plug and unplug them. If you move them, better to rerun setup IMHO.